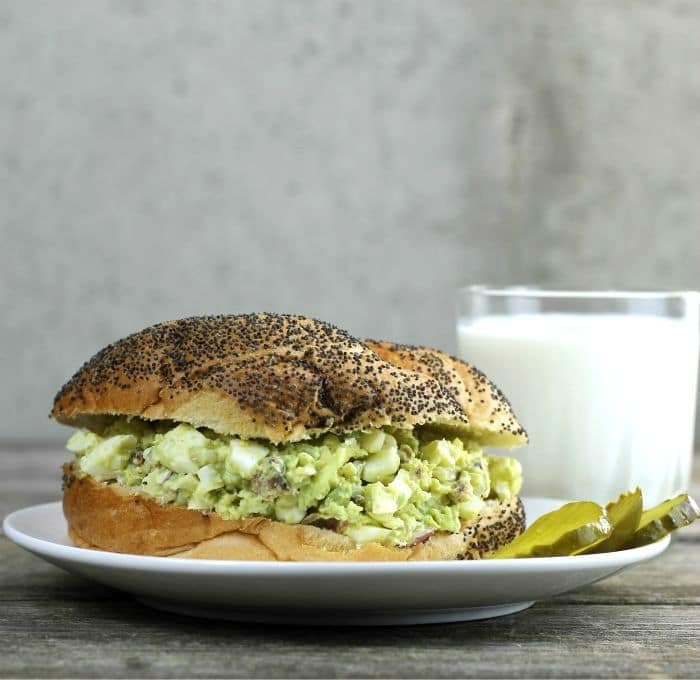 This bacon avocado egg salad is a change up from your typical everyday egg salad, there is no mayonnaise the avocado is added to replace the mayonnaise. Mike and I love a good egg salad sandwich. I usually blend the eggs with salad dressing (Miracle Whip), salt, and pepper and possibly a bit of pickle relish. During Lent it is our typical go to lunch on Fridays, but during the year we will sneak in an egg sandwich here and there. I am all for healthier recipes and I love the flavor of the eggs and the avocado, so it really was a no-brainer to change out the salad dressing/mayonnaise for the avocado. And you know what I really didn’t miss the salad dressing. 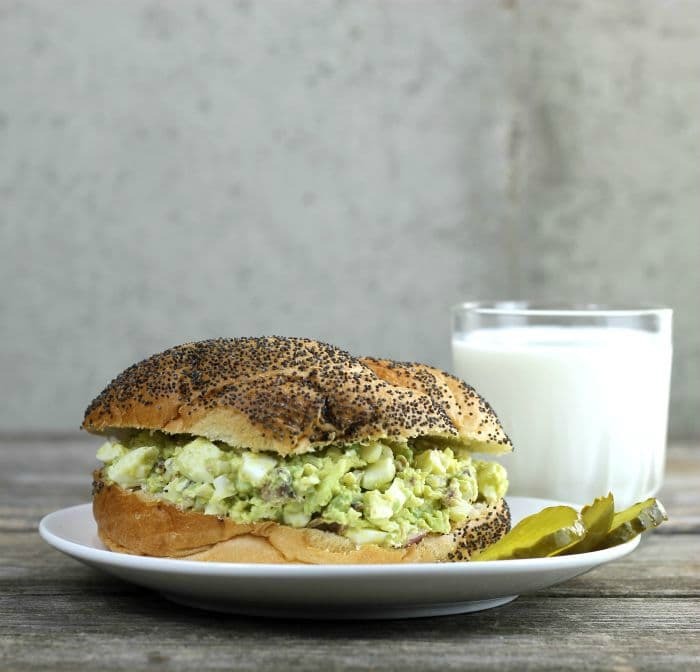 The avocado brings a refreshing new taste to my old favorite egg salad sandwich. I can bet that if you try this sandwich you will not miss the mayonnaise either. What are the benefits of eating avocados? 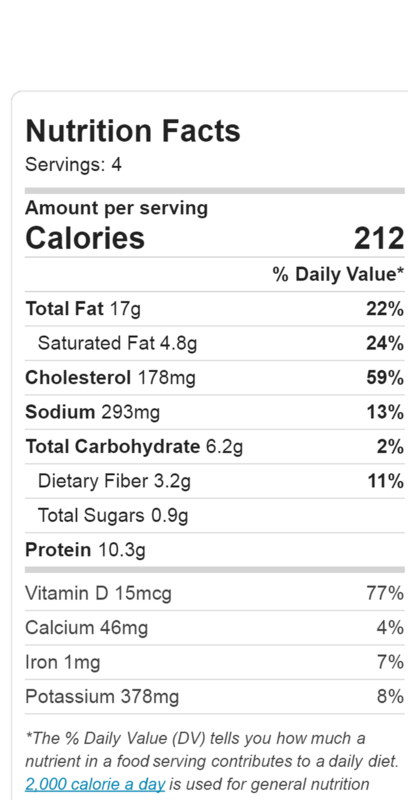 Avocados contain a wide variety of nutrients. Including 20 different vitamins and minerals. Avocados are loaded with heart-healthy monounsaturated fatty acids. This is just a partial list, but when it comes to avocados they just plain healthy for you. Remove the pulp of the avocado. 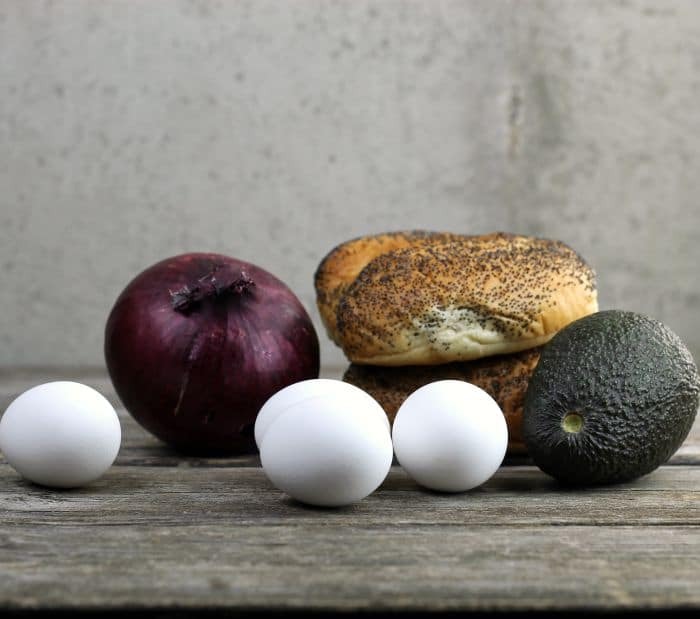 Peel the hard-boiled eggs and place in a small bowl along with the pulp from the avocado. Mash the two until well combined. Crumble the crisp bacon and add to the avocado and egg mixture. Chop the onion and celery and add it to the bowl. Add the remain ingredients and mix well. 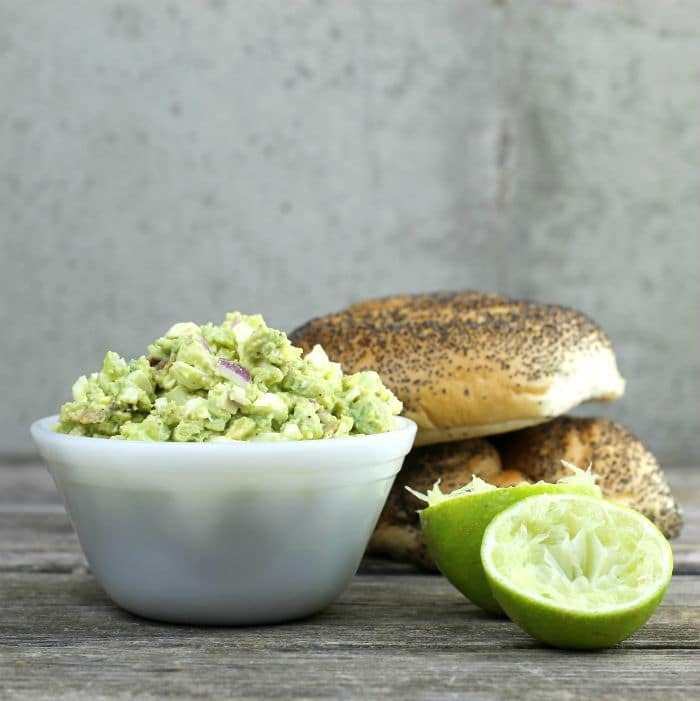 Spread the bacon avocado egg salad on your favorite bread and top with an additional slice of bread to make a sandwich. The calories for this recipe do not include the calories for the bread. Now that’s a SANDWICH! Bacon, avocado and egg…everything you need for a great lunch. I like egg salad, and make it from time to time. Wonderful in a sandwich! Or all by itself. Never thought to add avocado to the mix, though. I will next time. Thanks! Bill is the egg salad lover at our house—and he also is crazy for bacon. He will love your recipe, Dawn! I love the idea of using avocado instead of mayonnaise! And I do love a good egg salad sammich, too. I’m totally going to have to make these…and soon. And definitely on a bagel! 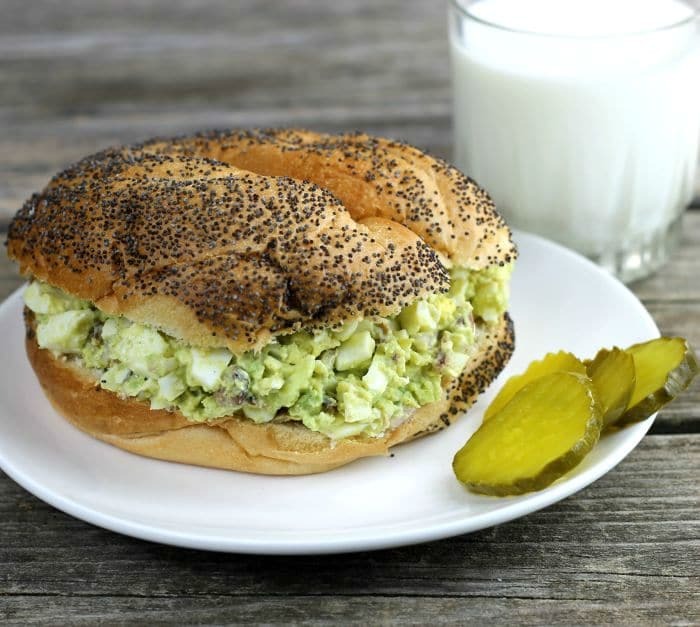 What a refreshing twist to egg salad! You have certainly dressed up egg salad with your recipe. I’ve got an avocado still on my counter right now ripening. I know what I’ll be having over the weekend.